It is official! 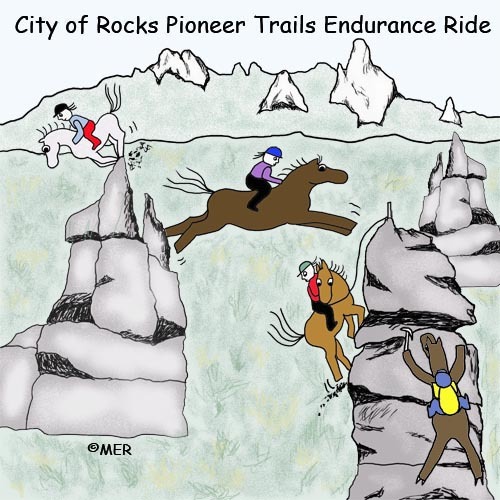 The City of Rocks Pioneer Trails multi-day endurance ride has been sanctioned for July 13-14-15-16, 2012, at City of Rocks National Reserve, near Almo, Idaho. 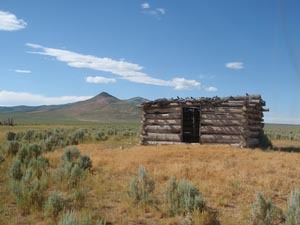 You'll see some amazing scenery and you'll ride on some old Pioneer Trails from the 1800's - the California Trail, the Boise-Kelton Stage Route, and the Salt Lake Alternate Trail. Despite the "Rocks" in the name of the ride, and despite the 'toon illustration above, we won't make you and your horse rappel down cliffs; and the footing is amazingly non-rocky in most places. You'll ride from sagebrush flats up into alpine forests. 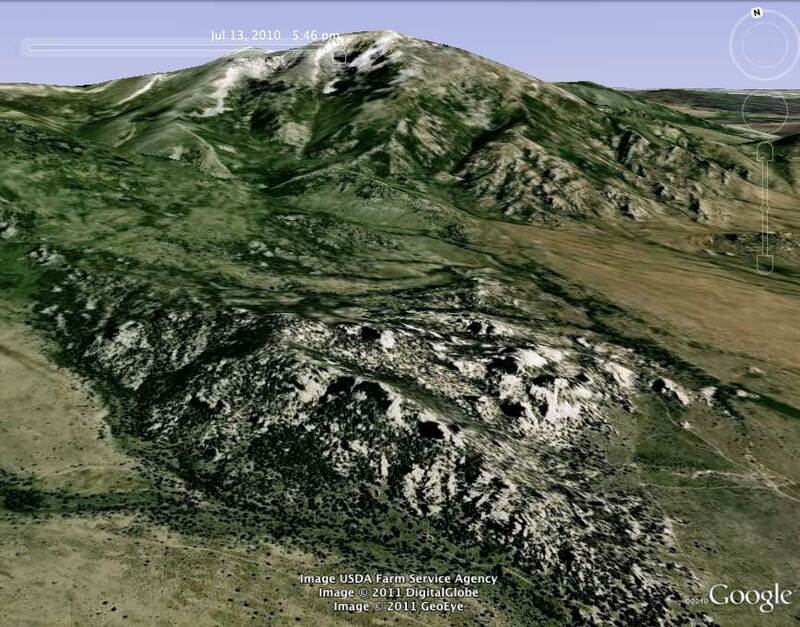 Basecamp is at 5700', so when it's hot in July everywhere else, it will be milder there. Just to the north are the Albion Mountains; the trails will head up there one day. Bring the family even if the rest of them don't ride: bring your climbing shoes or hiking shoes. City of Rocks is one of the premier climbing destinations in the country. Bring your fishing pole too, because the trails (or roads) in the Albion mountains lead you to the high alpine Independence Lakes where cutthroat trout are waiting to jump on your hooks. If you like ATVing, the Cassia Mountains to the west have an abundance of ATV trails. In the nearest town (which you can see from basecamp) there is a restaurant and general store. If the weather isn't hot enough for you, there are hot springs (and maybe if we beg them) a cool pool. We're headed back there next week to ride, ATV and hike, to scout more trails and lay more plans.